Five years ago we went out for a beer and a meal in Chinatown, we took some photos and started a blog to write about it. We planned to repeat the whole adventure and celebrate five years of blogging with philosophical discussion, nostalgia, and grand insights about everything we learnt. But we just got a bit pissed and ate ramen. Twice. Back to the glorious Century Tavern where it all started. 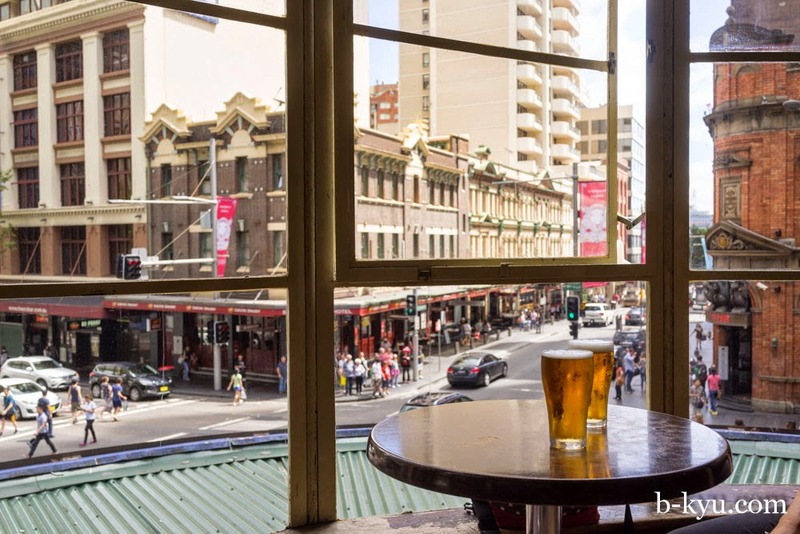 We thought it had been overrun by backpackers wanting a $3 schooner and a bit of craic, but when we lugged ourselves up the stairs the place was pretty much empty. The carpets are gone but the place still held the same feeling. 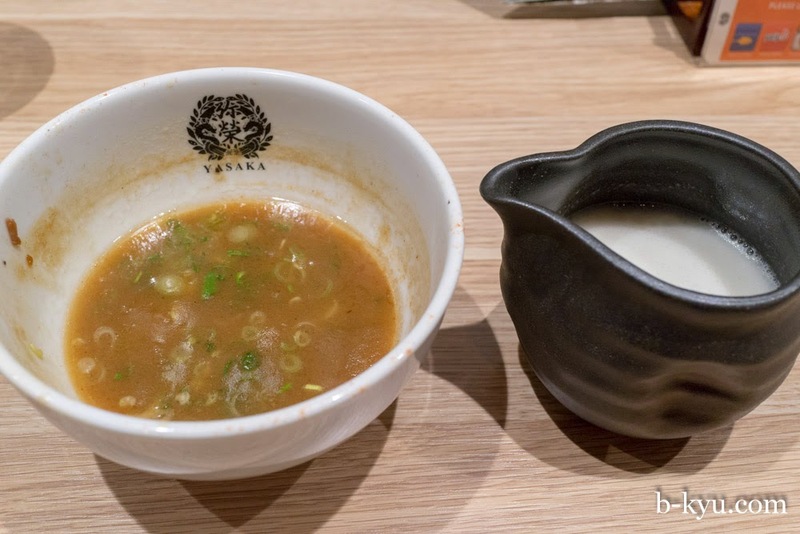 Instead of repeating our feed at Ajisin Ramen over at World Square like we did the first time, we decided to try out Yasaka on Liverpool Street instead. 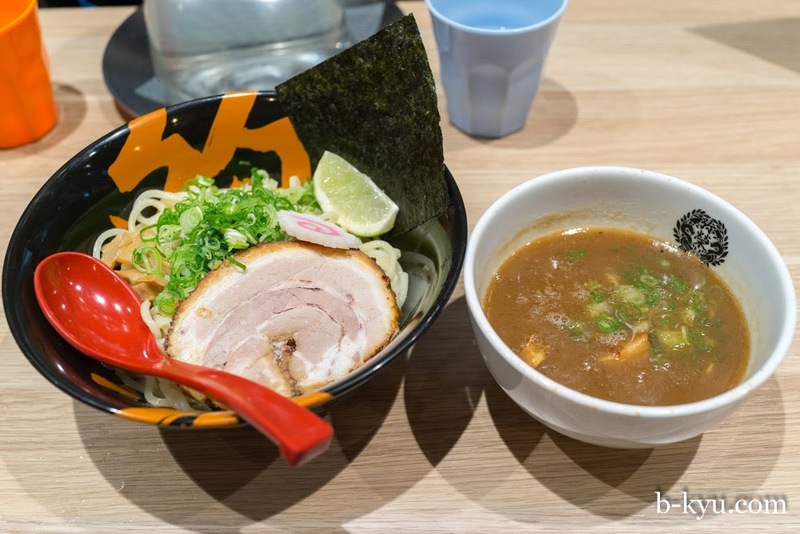 Since we wrote about Ajisin there have been a large number of excellent ramen places opened across Sydney and Yasaka was one of the latest, so it seemed fitting to repeat but move on a little as well. 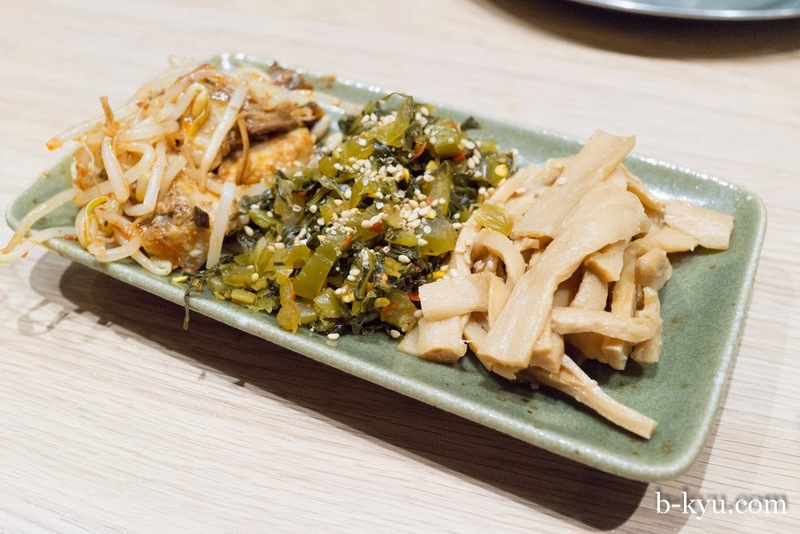 The noodle bar was once the site of Hanabi, one of our earliest experiences of eating Korean food in Sydney, so we were interested to see what had changed. Entering into Yasaka, a happy smile of recognition comes over our faces. 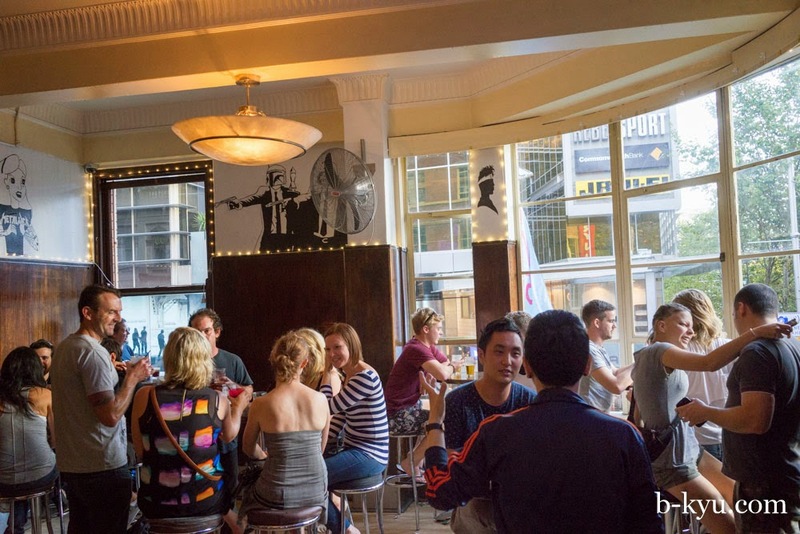 Is that a long bar where you can sit and eat your ramen and watch the show? 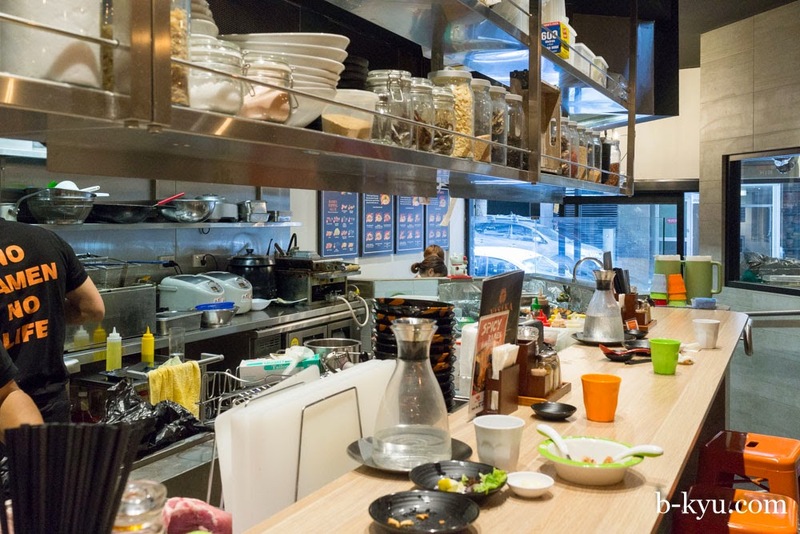 Something we have missed in Sydney and love about ramen adventures in Japan? Yes indeed, and there was a spot for us. 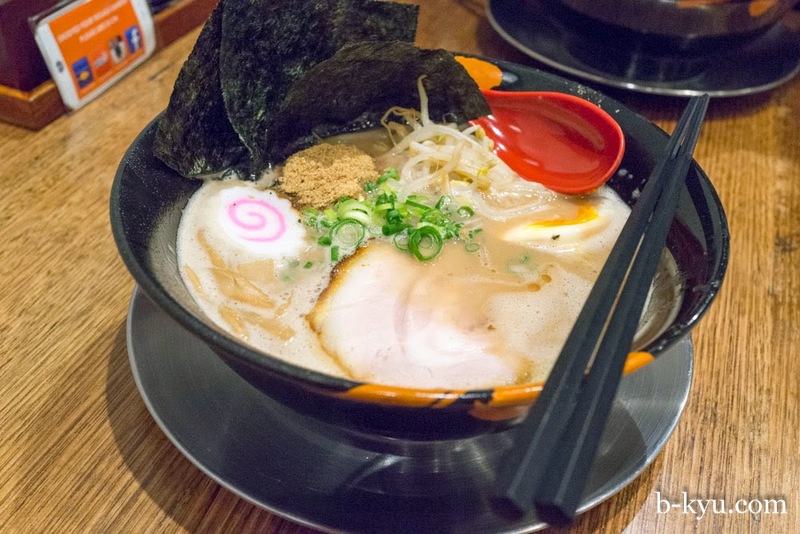 There's three different broth styles to choose from, each starts with a tonkotsu (slowly cooked pork) broth base. You can choose from shio (salty), shoyu (soy) and miso for the tare, or the flavour essence that makes each bowl differently flavoured. 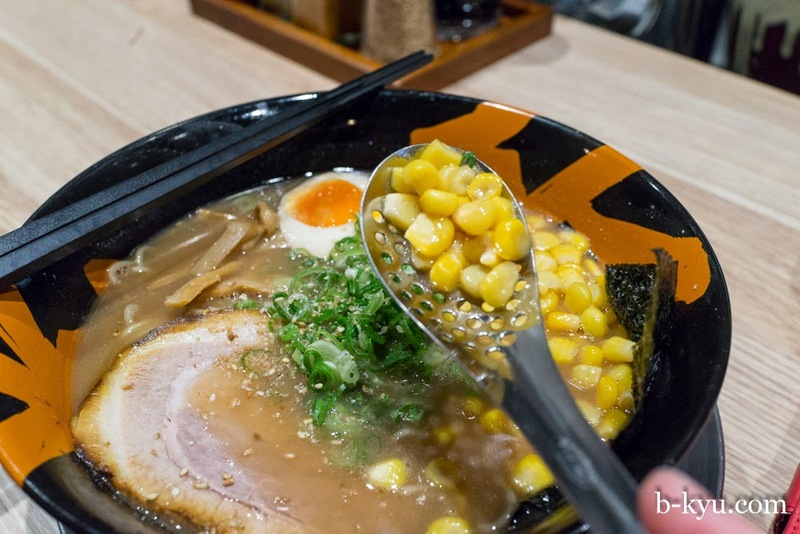 Miso style ramen is always a good choice when you don't want to go the full gung-ho of a tonkotsu broth, especially when you are given a little slotted spoon so you can scoop up all the little yellow kernels that balance out the flavour. One of the daily specials is a fish flavoured tsukumen, cold noodles and a bowl of fish flavoured goodness in a pork base broth. There's only 15 of these made a day and my goodness that fish broth packs a punch. The trick here is to dip your cold noodles into the intensely flavoured bowl of broth so that the noodles are just coasted with the flavour. If there's any broth left, a jug of milky stock is given so you can make up a private little soup with the leftovers. A mix plate of spiced bean sprouts with tiny cubes of roast pork, takana pickle and bamboo shoots adds some added texture and flavours to the soup. It's disappointing there's no help yourself ginger on the bar downstairs (but there's plenty upstairs on a condiment counter, along with sesame and chilli). Back to the Century Tavern on a Friday night and we're concerned to see it was full of good looking people enjoying themselves, it was never like that in our day. Slobs like us are still welcome though. 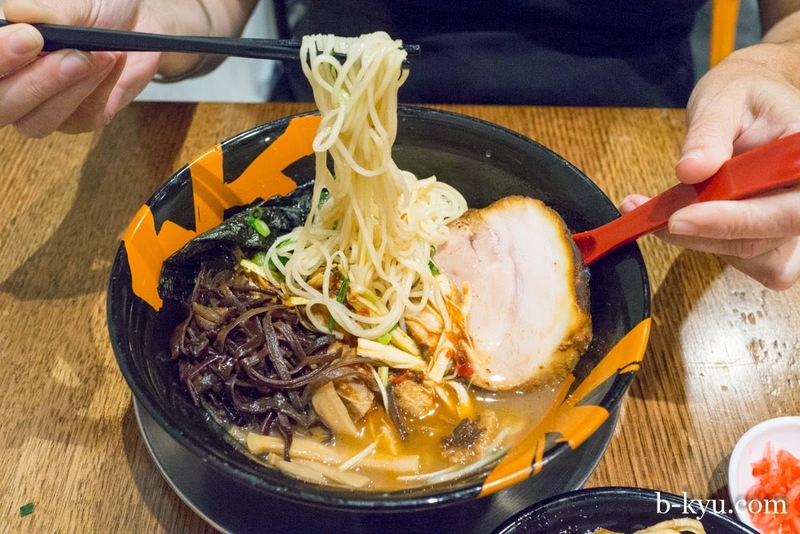 We decide to repeat our ramen adventure yet again. The special ramen of the day (not on the main menu) was a straight up tonkotsu with a pile of finely ground fish floss for extra flavour. Like the tsukumen broth we had earlier, it packed a fishy punch. Shio ramen with spicy leeks. The leek added just enough chilli to the soup without overpowering it, something easily done when you get a spicy or chilli ramen. Renkon chips $3. Crisp discs of goodness. 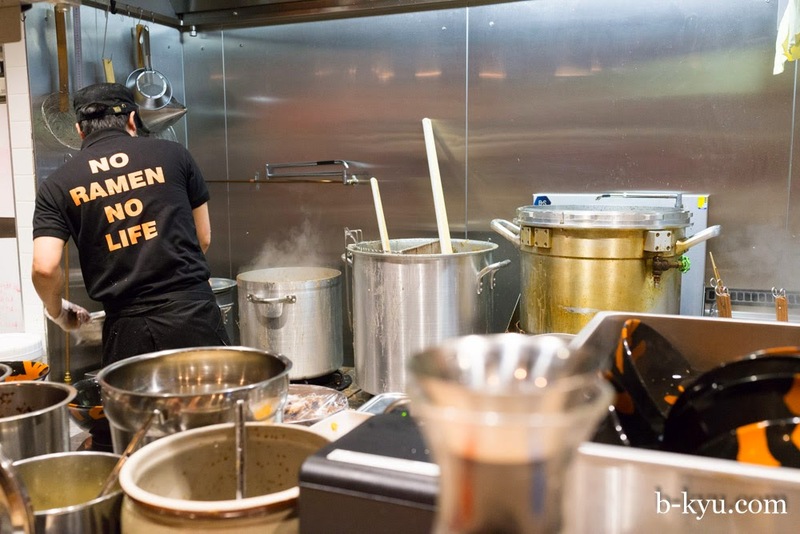 No ramen, no life and no end to stirring the giants pots of stock. There's always something being prepped at the bar downstairs. 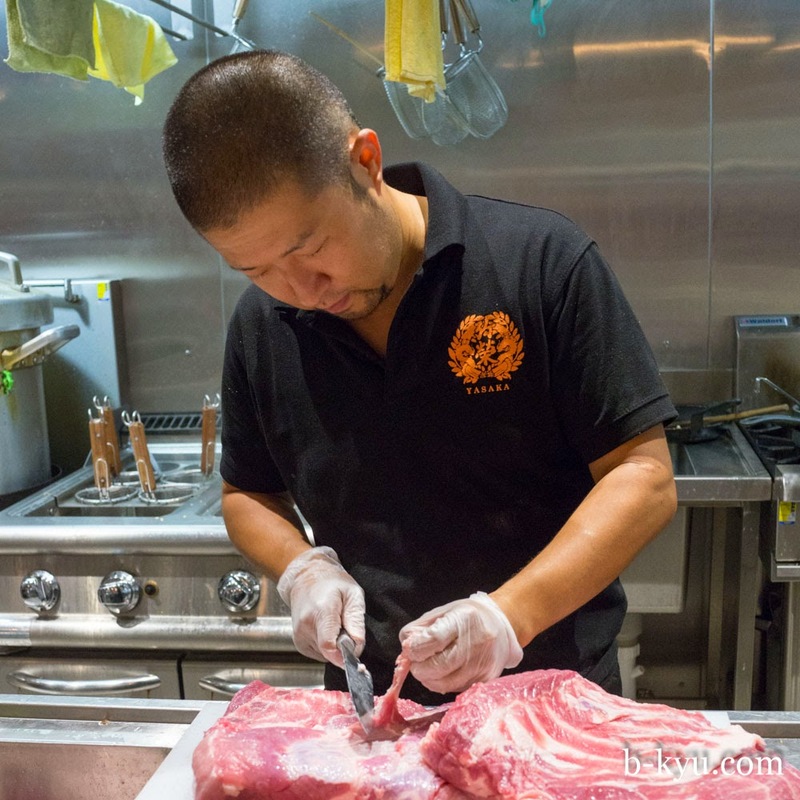 These guys are busy carving up great slabs of pork, poking down bones into the big pots and tracking the timing of the next batch of noodles on the boil. If the front of house looks full, don't despair, there's a big upstairs eating area. It doesn't have the same 'in Japan' feeling but would be great for a larger noodle gang if needed. On the way home we walked through Belmore Park where preparations for the Lunar New Year Parade were going on. 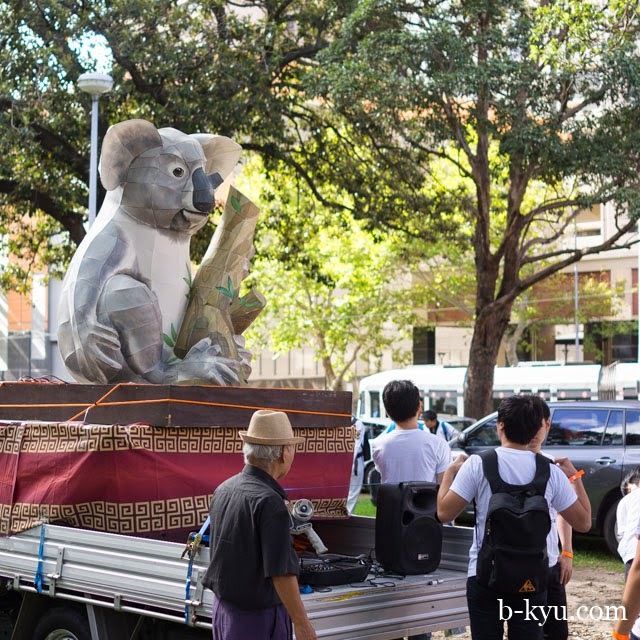 Something tells us this koala plans on smoking some of his eucalyptus leaves later. 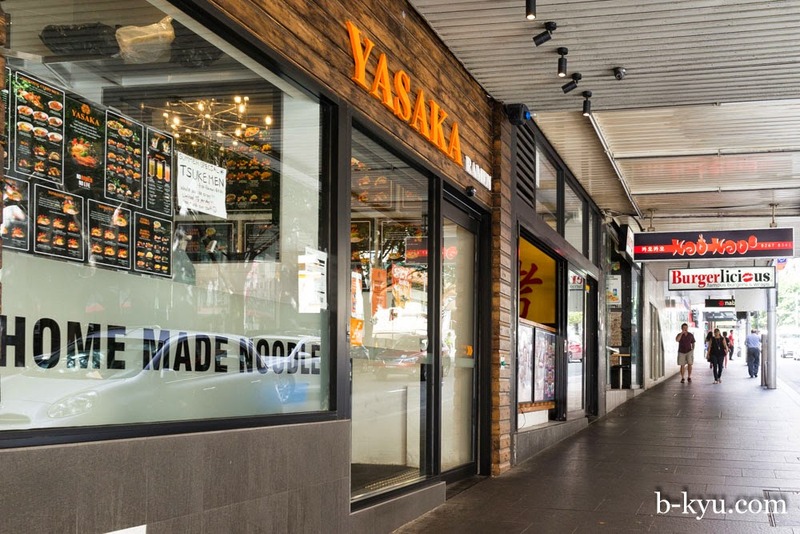 Yasaka is at 126 Liverpool Street, Sydney. 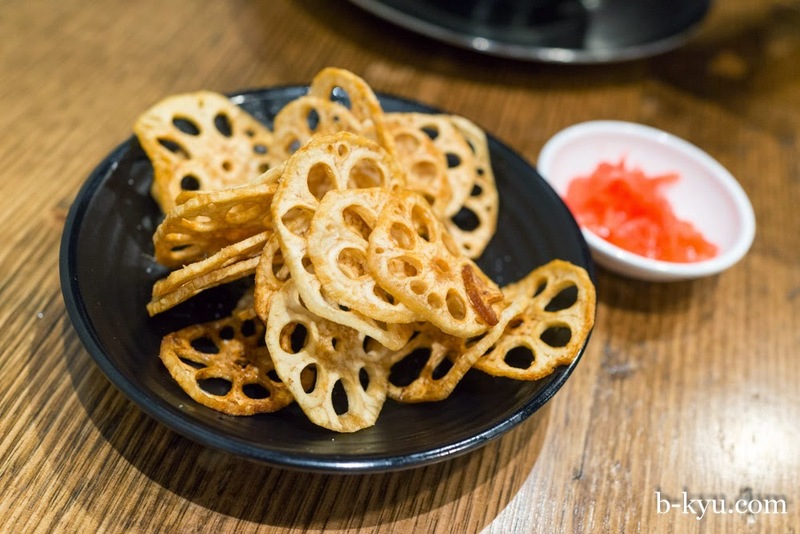 Awesome looking lotus root chips and love the no ramen no life tshirts! Thanks for all your support and Chinese translations over the years Lucy, really appreciated!